It has been a long time since I published dips. 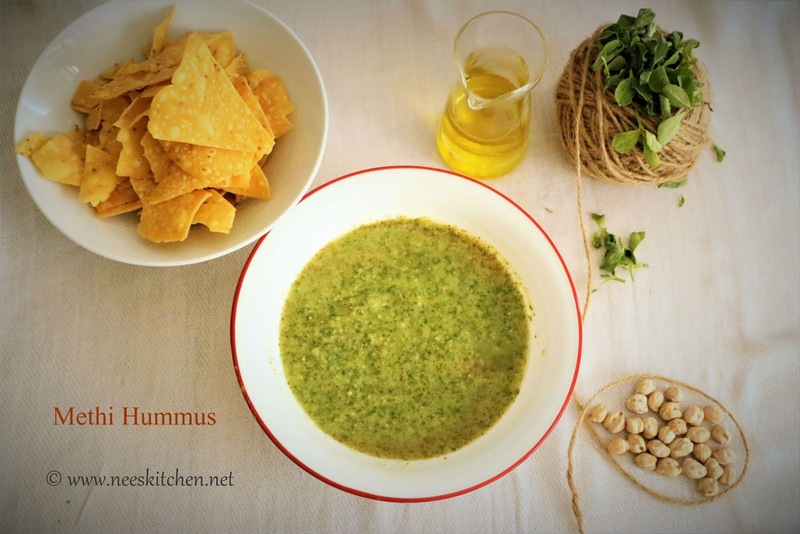 Today’s recipe is Methi Hummus or Fenugreek leaves hummus. Methi leaves, Kabuli channa, garlic and lemon juice are combined and blended together. This is absolutely guilt free and tasty. Serve it with some healthy chips. Recently I received Tortilla chips from DIP Foods and similar to their other products this also had very less oil in it. Hence I thought I must equally make a guilt free dip for these chips. 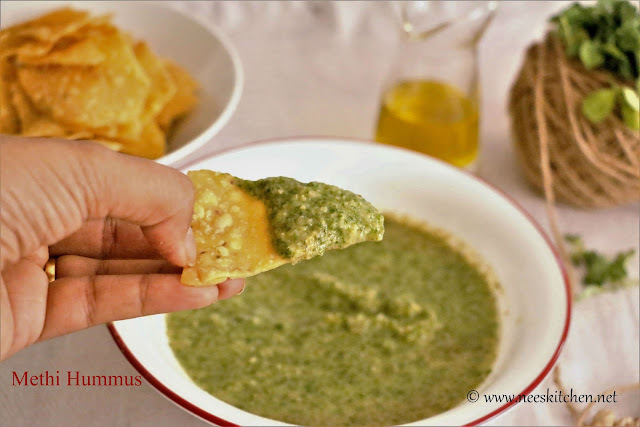 Methi Hummus is Diabetic Friendly and is also suitable for all age groups. Initially I thought it would turn out to be bitter due to the taste of Methi Leaves, but I was wrong. 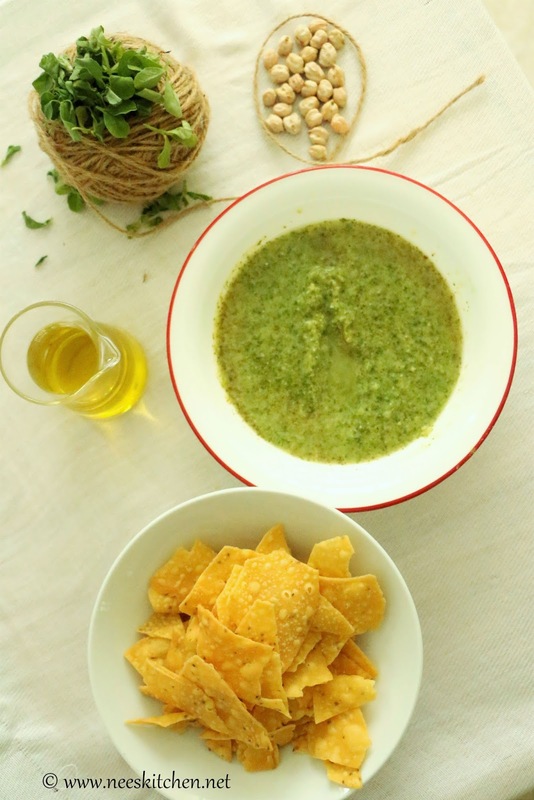 It was not tasting bitter and the aroma of methi leaves can be felt in this recipe. The tortilla chips from the DIP Foods is less oily and they are suitable for vegetarians. The packaging is good and once opened must be transferred to a zip lock or airtight containers similar to any cookies. All the information about the product is based on my personal experience only. 2. Pressure cook the Kabuli Channa for 3 whistles. Take out and let it cool. 3. Cook Methi leaves in enough water. Cool it completely. 4. Take hand blender or mixie and blend Cooked Methi, Channa, Garlic and Salt. Blend to a nice paste. 6. Serve chill or at room temperature with healthy tortilla chips. 1. The measurement of methi leaves given in video is after cooking it would yield 1/3 cup.